People willingly drive on tires this bad all the time. 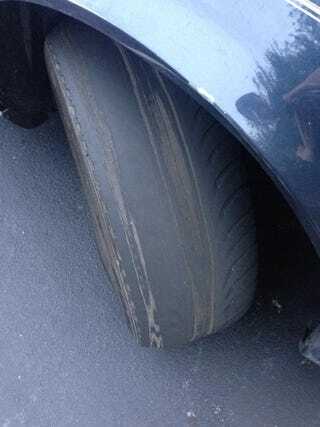 I spent a few years being a service adviser, trying to convince people that driving on tires like the one pictured is really dangerous. "Ah, I can get through the summer on these tires, they're fine!"